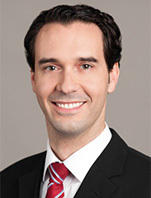 Damon Walvoord is co-Head of the ETF Group at Susquehanna International Group (SIG) and a 12 year veteran of the Firm. As such, Mr. Walvoord is jointly responsible for several ETF-related activities including oversight of the Firm's ETF lead market making and exchange-related business, ETF issuer relationships, ETF client trading (through SIG affiliate Susquehanna Financial Group, or SFG), global equity portfolio trading (also SFG), and other strategic ETF initiatives. Prior to his current role forming and running the ETF Group, Mr. Walvoord helped build out the SFG sell-side brokerage business, after beginning his capital markets career as an ETF and index options trader in the SIG training program. Mr. Walvoord is a graduate of the University of Virginia with a B.A. in Philosophy.